GamingPC.ca, a Canadian Custom PC company, recently released their "Beast" PC, replacing the "Destroyer" as their flagship PC. Starting at $5880, this PC is not for all of us, but for those of us who want the exclusive bragging rights of potentially owning one of the fastest gaming PCs available on the market today. The Intel Core i7-3930K @ 4.6 GHz. This 6-core beast costs roughly $600 to buy. At $400 less than the 3960X, which is clocked 100MHz higher and has 3MB more cache, this hits the value point for anyone requiring 6 high-performance cores. That aside, this CPU is overclocked to 4.6GHz - 43.75% higher than the default clock settings. And - don't be worried about the stability, all systems are stress tested for 48 hours in advance. This motherboard is part of the ASUS Republic of Gamers family, their absolute top-of-the-line parts. Supporting 4-way SLI and Crossfire, this motherboard is for the ultimate of PCs, including many features few motherboards have. Including OC Key, real-time overclocking, Subzero sense, for LN2 users, and VGA hotwiring. 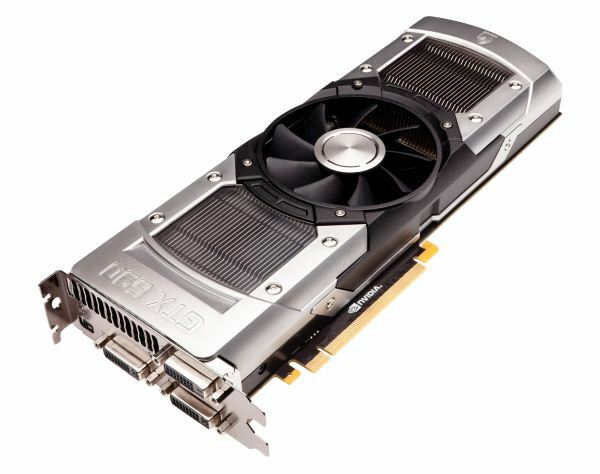 Two of the most expensive (and fastest) consumer-grade graphics cards, this allows you to play games at the most FPS, whether it be on one monitor or six! In total - 4 GK104 processors, 8GB of GDDR5 RAM, and 6144 CUDA cores! It also includes many extreme components, including 64GB of DDR3-1600 RAM, a OCZ Vertex 3 240GB Max IOPS SSD, and a 2TB Western Digital Caviar Black HDD, and a 1500W PSU. You're also getting their in-house custom water-cooling solution, sustainable even up to -40 degrees Celsius! What sets this custom PC builder apart from the rest? Like us, CustomPC.ca is Canadian - you're supporting your home country (and economy)! Unlike many major corporations, CustomPC.ca has Canadian tech-support technicians, who speak English AND French (Windows is available in either language for no extra charge)! They also have live chat available on their site, which I had the chance to use. Their PCs are available for customizing on their site, but if you don't see a part that you would like, you can request that part directly through phone, chat, or email. If you don't like OCZ and would prefer a different SSD (in this case), just chat with them, and they'll be happy to help you. Earlier, I found a typo, and alerted Sebastien via live-chat, and he quickly replied - and the typo was also corrected! The links to drivers for their PCs is easily available on their Downloads page, you don't have to go far for them! A company that puts customers over everything else - not easy to find anymore. To the major PC builders: Put customer service first, and you'll see profits coming in, especially in the wake of weak financial markets.